We’ve included the SERP features among the advanced filters. This also means you can now add SERP feature criteria when creating a smart group. 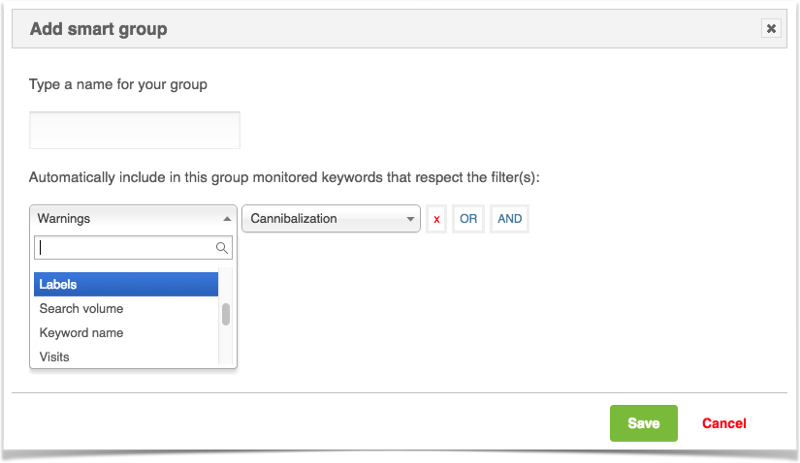 In addition to the SERP feature option, you are now able to filter keywords by warnings like cannibalization. Or by labels, in case you might want to easily spot the keywords marked as “Brand of others” or “Misspelled”. A star icon will sometimes appear next to a keyword’s rank. It will highlight that the displayed rank is the all-time best. In the Keyword page, the star will always be there and it will show the all-time best rank when hovering over it.